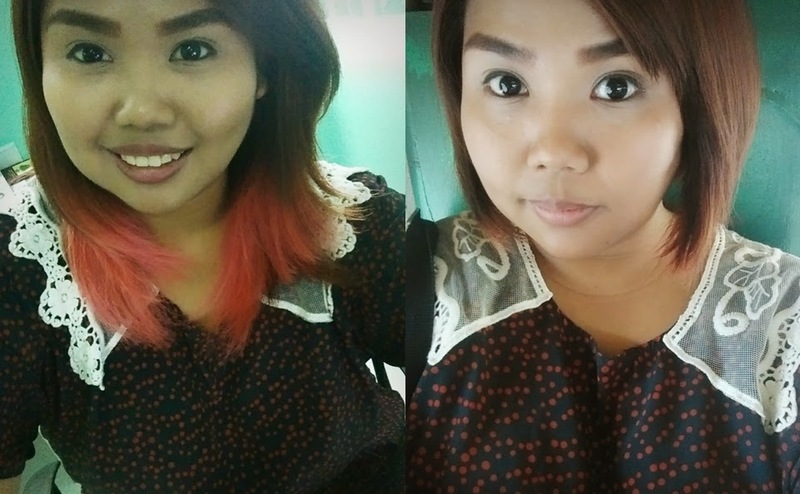 A month ago I decided to have the tips of my hair bleached and (supposedly) turned into a darker shade of red; but fortunately (yes, FORTUNATELY), the stylist made it pink and I loved it so much. However, one afternoon while I am on my way back home from work, I got irritated with how my hair touches my nape and my neck and it was just so hot. And so I happened to pass by this newly opened salon near the tricycle terminal where I got off, went in and told them, "CUT MY HAIR SHORT! MAINIT! (It's hot)"
"Ma'am are you sure? You want us to cut off the pink ends?" Reluctantly, the stylist suggested a short bob cut and I simply nodded. "Ma'am, can I just have the pink hair we cut off from you? It'll be great as a hair extension." I smiled and said yes and he continued on with cutting my hair. "Oh and can you please fix my bangs? Side bangs ah, not full." I'm spontaneous just like that. Cutting my hair is no big deal, getting a tattoo can be decided in a few minutes, and getting my hair colored can be an accepted decision afterwards. But I guess that says a lot about my personality as well. I'm the type of person who just goes for it; but as soon as I find it unproductive, unhealthy, or unhelpful in my life, I can let go and move on fast. I have accepted the fact that things come and go and there are instances when things just can be out of our control. When that happens, do we just sit down and cry or do we move on to the next phase and continue walking forward? 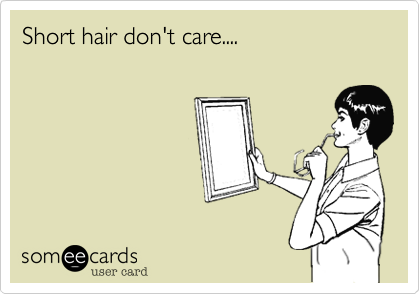 My hair is just a superficial part of me. It may take time but it will eventually grow back. What matters is how I deal with the present. The weather's too hot, why should I stick with an uncomfortable hair? If it's causing me so much discomfort and prevents me from being productive, why should I hold on? Is it because of the money I spent on having the tips colored? Is it because people think I look good in it? Is it because I have invested so much time and effort in taking care of it and having it grow this long? Let go and move on. That's one thing I have learned in life. The harder it takes for us to let go of the unhealthy things in our lives, the more we tolerate stagnation and, eventually, deterioration. Things change and there's nothing we can do about it but to continuously adapt and live by every moment. Everyone loves my new hair. They said it looks good on me. I have got to admit that it does make me feel more confident. Well, I guess some girls are just born to rock a shorter do. I'm trying to grow my hair longer now, pero pag di ko natiis with the init and all, I'll have it chopped again. Haha! Love it! Very fresh for summer! I had to say goodbye to my pink ends too! I wish Lang I kept a remembrance hahaha! I miss my pixie but it took like 2 years to grow out hahaha. Super beauty!! Perfect cut hair! !